Berlin is a city of fragments and ghosts, a laboratory of ideas, the fount of both the brightest and darkest designs of history's most bloody century. The once arrogant capital of Europe was devastated by Allied bombs, divided by the Wall, then reunited and reborn as one of the creative centers of the world. Today it resonates with the echo of lives lived. No other city has repeatedly been so powerful and fallen so low; few other cities have been so shaped and defined by individual imaginations. Berlin tells the volatile history of Europe's capital over five centuries through a series of intimate portraits of two dozen key residents: the medieval balladeer whose suffering explains the Nazis' rise to power; the genius Jewish chemist who invented poison gas for First World War battlefields and then the death camps; the iconic mythmakers like Christopher Isherwood, Leni Riefenstahl, and David Bowie, whose heated visions are now as real as the city's bricks and mortar. Alongside are portrayed some of the countless ordinary Berliners whose lives can only be imagined: the ambitious prostitute who refashioned herself as a baroness, the fearful Communist Party functionary who helped to build the Wall, and the American spy from the Midwest whose patriotism may have turned the course of the Cold War. Berlin is a history book like no other, with an originality that reflects the nature of the city itself. In its architecture, through its literature, in its movies and songs, Berliners have conjured their hard capital into a place of fantastic human fantasy. No other city has so often surrendered itself to its own seductive myths. Berlin captures, portrays, and propagates the remarkable story of those myths and their makers. 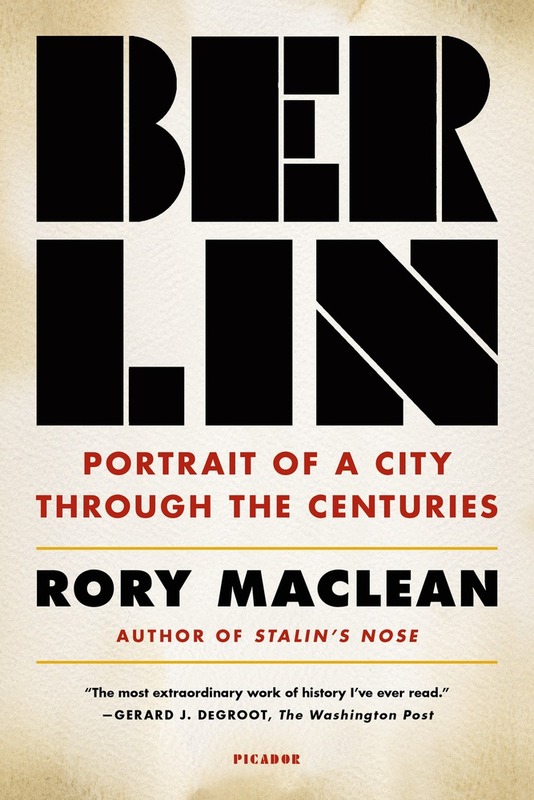 Rory MacLean has known three Berlins: West Berlin, where he made movies with David Bowie and Marlene Dietrich; East Berlin, where he researched his first book, Stalin's Nose; and the unified capital where he lives today. He is the author of nine books and has won awards from the Canada Council and Arts Council of England as well as a Winston Churchill Traveling Fellowship. He was an International IMPAC Dublin Literary Award nominee and is a Fellow of the Royal Society of Literature.